Serious crime by juveniles in California has plummeted over the last two decades, leaving beds unfilled in juvenile halls even as the costs of incarcerating each youth are skyrocketing. Those findings by the San Francisco Chronicle led three San Francisco supervisors to announce that they are drafting legislation to close juvenile halls in the city by the end of 2021, the San Francisco Chronicle reports. The newspaper’s investigation, summarized in this San Francisco Chronicle editorial, found that the decrease in juvenile arrests has contributed to an overall reduction in crime throughout California. The reason for the decrease in juvenile crime is unclear. Some possible causes include: a decline in lead poisoning that affected developing brains, a change in the drug trade because of a falling demand for crack cocaine; tougher sentences for drug dealers that put a crimp in gang recruitment; an increase in organizations to help youths; and, more recently, more diversion programs for youths. • Youth arrests for violent felonies in California decreased 68 percent from 1994 to 2017. The number was 22,601 in 1994 and 7,291 in 2017. • The number of juveniles killed in homicides in California decreased 83 percent from 1995 to 2017. The number was 382 in 1995 and 63 in 2017. 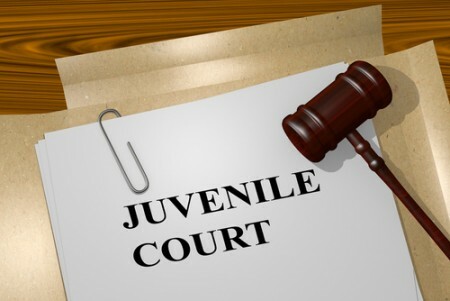 • Out of 43 California counties with juvenile halls, 39 were less than half full in 2018. At least seven counties were less than 25 percent full. • Some California counties are spending $1,400 per day to incarcerate each juvenile, or about $500,000 annually—up from $400 per day, or about $150,000 annually, just eight years ago. In San Francisco, the juvenile hall has 150 beds while typically housing fewer than 50 youths. The annual budget for the facility—$11.9 million last year—has remained relatively flat since 2011. Yet the average number of youths housed at the facility has decreased by half over the same time period. The three San Francisco supervisors who want to close the facility are Hillary Ronen, Shamann Walton and Matt Haney. They said their bill would create a task force to review how to create other secure settings for juvenile offenders. Walton told the Chronicle he wants facilities that give youths chances for rehabilitation. He said there was nothing good about his own experience with juvenile hall, where he spent time for auto theft, drug offenses and armed robbery.